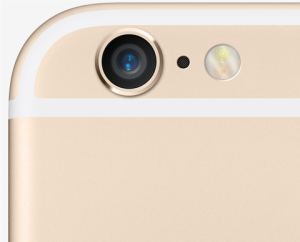 Apple recently announced two new smartphones, the iPhone 6 and iPhone 6 Plus. Both are larger than any of Apple’s previous smartphones. 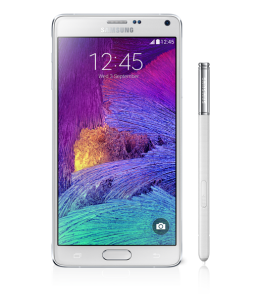 Also last week, Samsung introduced its latest Galaxy Note phone, the Note 4. During the last 4 or 5 years, Samsung has popularized the large screen smartphones devices and Apple has seemingly always been against large-screen devices. 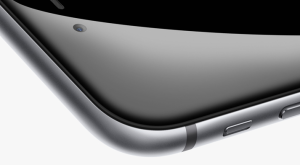 Recently Apple has seen the potential of a big screen and has introduced two bigger phones. 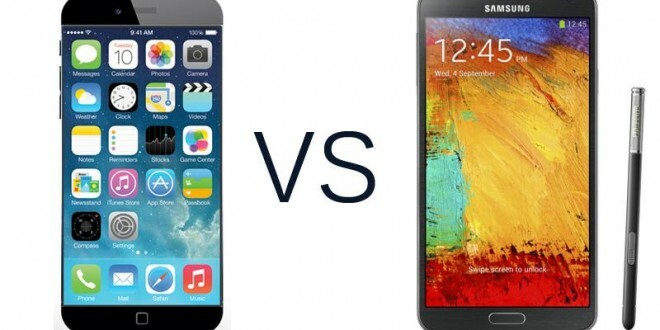 In this blog post I will give a head-to-head review on iPhone 6 Plus and Galaxy Note 4. 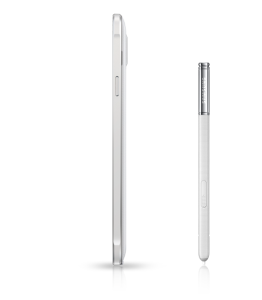 When we look at the size differences of Galaxy Note 4 and iPhone 6 Plus, we notice the iPhone 6 Plus is a bit taller than the Note 4. 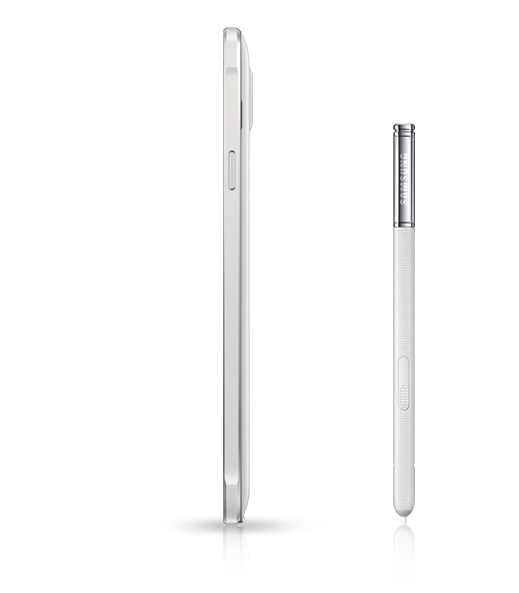 On the other hand, the Galaxy Note 4 is more than one mm thicker than iPhone 6 Plus. In general, the iPhone 6 Plus is 158.1 * 77.8 * 7.1 mm and the Note 4 is 153.5 * 78.6 * 8.5 mm. Looking at the size difference between screens, the Galaxy Note 4 has a 5.7 inch display while the iPhone 6 Plus has a 5.5 inch. In terms display differences, the Samsung Note 4 packs a Quad HD Super AMOLED display whereas the iPhone 6 has a backlit LED IPS display. In terms of resolutions, iPhone 6 Plus has a 1920 * 1080 pixels resolution that offers about 401 ppi pixel density. I am glad that Apple went for a Full-HD size for the screen because it is standard comparing to iPhone 6, which is 750 * 1334 pixels. On the other hand, Samsung Galaxy Note 4 definitely has the advantage here by offering 2560 * 1440 pixels that can fit about 515 pixels per inch. By looking at weights of these devices, the Galaxy Note 4 is 176 g while the iPhone 6 is 172 g and is slightly lighter. Apple has been famous for its quality and this is very apparent when we look at iPhone 6. The iPhone 6 Plus has an aluminum body and comes in three different colors; silver, gold and space gray. Samsung also improved the quality of its devices and replaced its metal-looking plastic frame with actual metal. The back cover is made of a leather-like, soft-touch material and the device comes in four different colors: black, white, gold and pink. 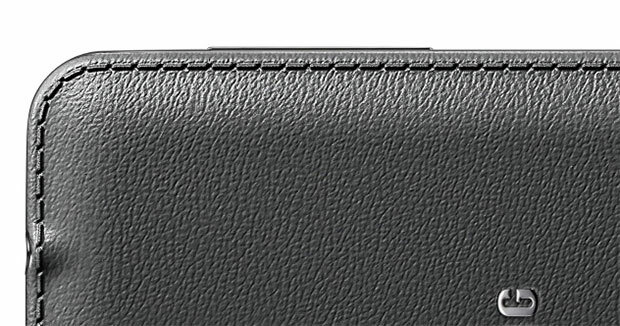 The back cover in the Galaxy Note 4 is also removable and allows users to replace the battery and external memory. Looking at the internal parts of these devices, the Samsung Galaxy Note 4 features a Quad-core 2.7 GHz Snapdragon 805 CPU and also has an Adreno 420 GPU. In terms of other current Android devices, these specifications are at the highest level. On the other hand, the iPhone 6 plus has a 64 bit Apple A8 processor with two cores and 1.7 GHz clock speed. It is worth mentioning that the iPhone 6 Plus uses a separated chipset for motion processing. In terms of RAM, Galaxy Note 4 has 3GB of RAM while the iPhone 6 Plus works with 2GB. In terms of available options for the internal storage, Galaxy Note 4 comes with 32GB internal storage and no mention yet about any other options such as 64GB. 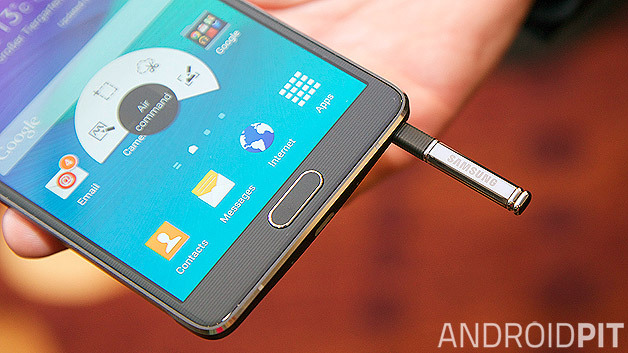 However, the Galaxy Note 4 can take advantage of an external memory up to 128GB through a micro SD card. On the other hand, the iPhone 6 Plus comes in three different options: 16, 64 or 128GB and we don’t have a 32GB version anymore. Let me move to the cameras of these devices. In the Samsung Galaxy 4 we will get a 16 MP rear camera that finally uses Optical Image Stabilization feature. On the other hand, the iPhone 6 Plus has 8MP rear camera that also has Optical Image Stabilization. 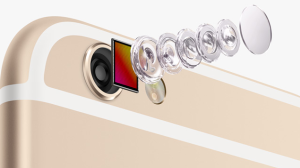 Moreover, the iPhone 6 Plus packs a Dual-LED flash, white and amber, that improves the quality of photos especially in a low-light environments. Samsung also provides handy camera features such as real-time HDR and selective focus that lets users improve their photography experience. The iPhone 6 Plus can capture movies up to 1080p at a rate of 60 fps and 720p at 240 fps that lets users have very smooth slow-motion movies. 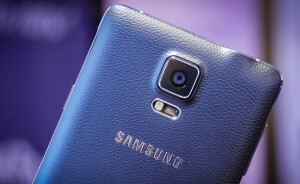 Samsung Galaxy Note 4, however, is capable of capturing movie at up to 4K resolution, that is 2160p, at a rate of 30 fps. And we also get 720p at 120 fps and other variations. In terms of the front camera, Galaxy Note 4 provides a 3.7 MP camera with 1080p resolution with wide view angle mode, 120 degree, that lets users to capture high quality selfies, while the front camera in iPhone 6 Plus is 1.2 MP and can capture up to 720p. Both the Galaxy Note 4 and iPhone 6 Plus have finger print scanners, however users seem to be much more satisfied with the iPhone’s performance than the Galaxy Note 4. Since both devices have NFC (Near Field Communication), they support mobile payments: Samsung Galaxy Note 4 uses Google Wallet for regular payments and Samsung Beepn’Go for other cards such as point cards and cards. Apple uses the new Apple Pay payment system and takes advantage of finger print signatures for payment authorization. 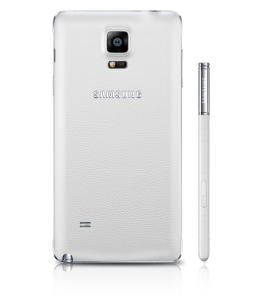 In general, the Galaxy Note 4 provides a variety of extra features compared to the iPhone 6 plus such as a heart rate sensor and is water and dust resistant. 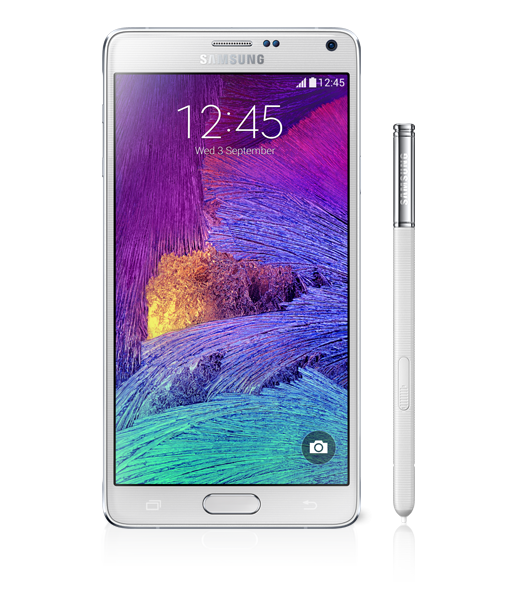 The key feature of the Galaxy Note 4 is its S-pen. 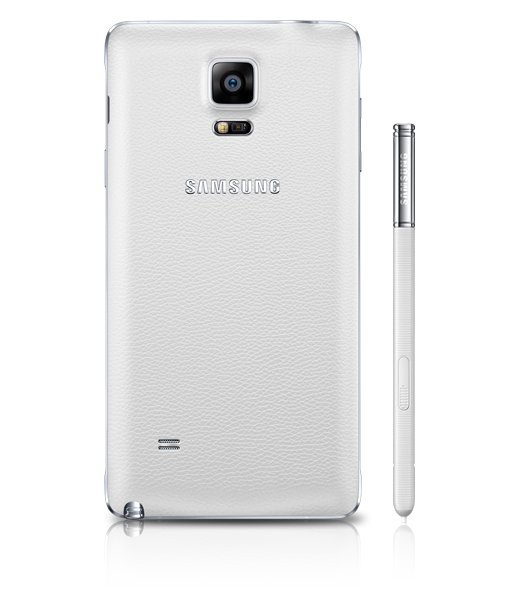 The S-pen has 2048 pressure points and provides the most accurate stylus pen among all portable devices. The Galaxy Note 4 also is famous for its multi-tasking feature. This device not only lets users work with multiple applications, but also lets them manipulate their window size. In terms of battery-life there hasn’t been much revealed about the iPhone 6 Plus’s battery, but we know that the battery provides enough juice for 14 hours of video playback. The Galaxy Note 4, however, uses a 3220 mAh Li-Ion battery that is removable and supports 13 hours of continuous video playback. Galaxy Note 4 also offers a new feature called “fast charging mode” that lets user charge from 0 to about 50 percent of the phone’s battery in 30 minutes. Finally by looking at the prices of these devices, Galaxy Note 4 costs around $750 and will be released by October 2014. On the other hand, for the iPhone 6 plus you are going to be looking at something around $750, $849 and $949 for 16, 64 and 128GB models respectively and they are expected to be released by September 19th, 2014. Thanks for posting this article, I’ve been thinking about what phone to get for a few weeks now. Looks like I’m going with the Note 4. There is a small typo in the article, talking about the iPhone capacities, one is listed as 54, instead of 64GB. Just thought I’d point that out. Cheers! Thanks for finding the typo. 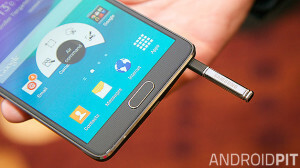 As you might know, the Galaxy Note 4 will be released sometimes around September or October internationally. This would be a very wise decision if you wait a bit more to see these devices in action. In general, when people ask me which phone they should buy, my answer turns to another question! What are you planning to do with your phone? 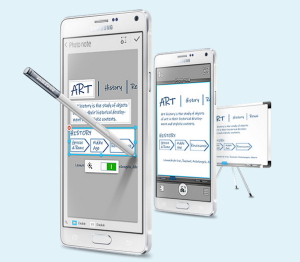 If you like customization and extra features that Galaxy’s S-Pen gives you, the Galaxy Note 4 is your best bet. On the other hand, Apple is the master of interface design and simplifies most of the common issues of small screen interfaces.